10 Gallon Mini Melter | Alpine Products, Inc.
10 Gallon Mini Melter is an economical solution for smaller jobs. It can provide hot material in 20 minutes or less. It is the stationary version of our popular MA10 wheeled unit. Both inner and outer tanks are built of heavy 14 ga. steel. Standard features include temperature guage with guards, built in hand agitator and a propane bottle platform (bottle not included). 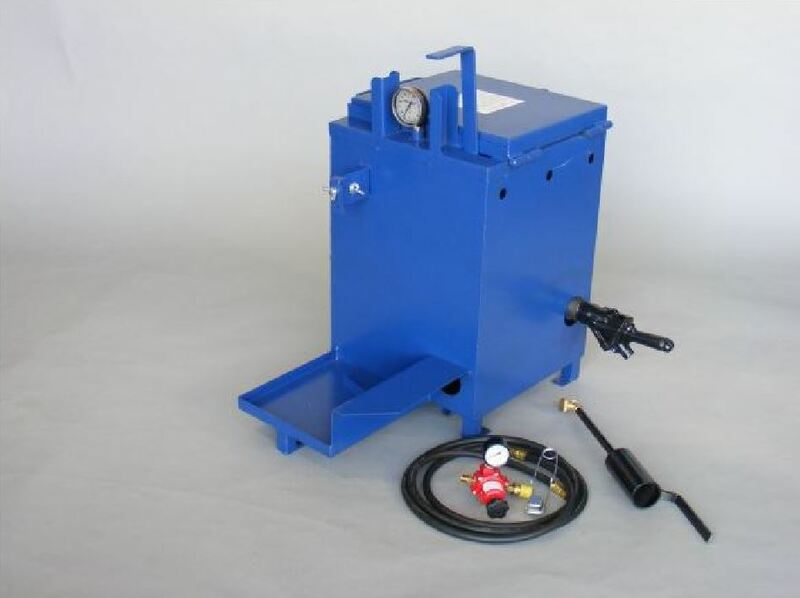 It comes with a 50,000 BTU burner, 10′ hose regulator, striker, and draw-off valve. The kettle is capable of melting up to 600 lbs. of sealant per day. Capacity – 10 Gal, Weight – 95 lbs.